on our overnight passage sail into the Florida Keys. Sailing sleep-deprived on an overnight sailing passage, and encountering oddities, sometimes truth seems stranger than fiction. Do we trust our eyes? Or logic? Is it possible to simultaneously share the same hallucinations? Biscayne Bay. Right in the heart of hurricane country, the Miami skyline fades into periwinkle silhoutte. 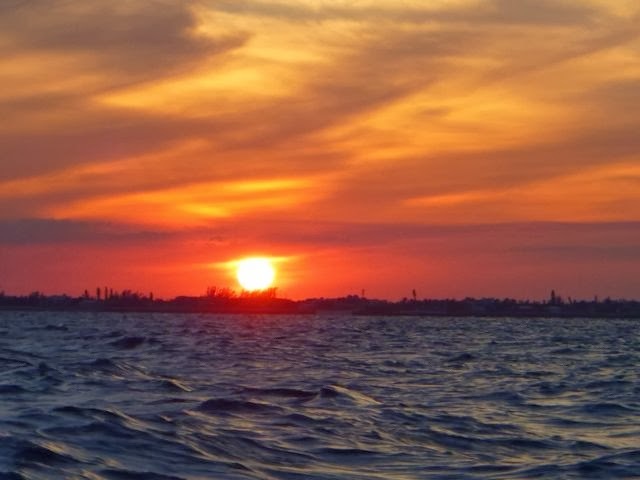 Exiting the Atlantic, we re-enter the ICW (intracoastal waterway), sailing SW into the Northern-most portion of the Florida Keys…. 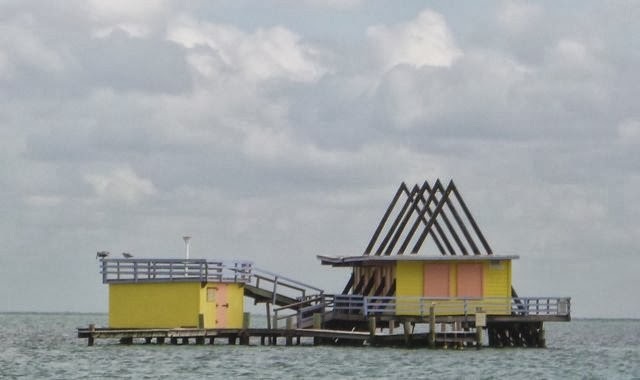 "Beach house #1" between Miami and the Florida Keys. 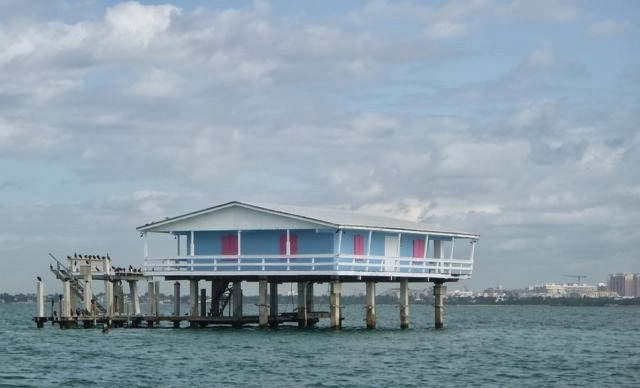 We wonder aloud about “Stiltsville” (as we later discover it’s called -- click here for more about Stiltsville’s intriguing history, courtesy Wikipedia)…. between Miami (skyline in the background) and the Florida Keys. What possessed the builders and buyers of these “waterfront properties”? Under what environmental assessment were they allowed to be built? Did they pay cash to build them (as there’s no way any sane bank would insure them with a construction loan)? 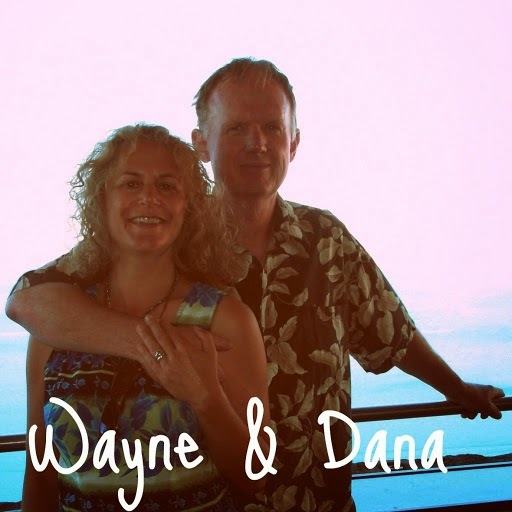 How did they survive 1992’s Hurricane Andrew? How long has it been since they were occupied? 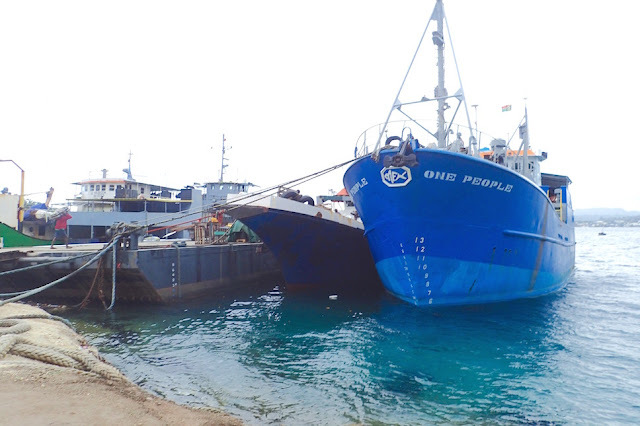 Wow – that one with an unfaded flag – could it possibly be occupied? unlikely it's an occupied residence. Houseboat in Key Largo with a basement mangrove view. more recently occupied but clearly uninhabitable home. 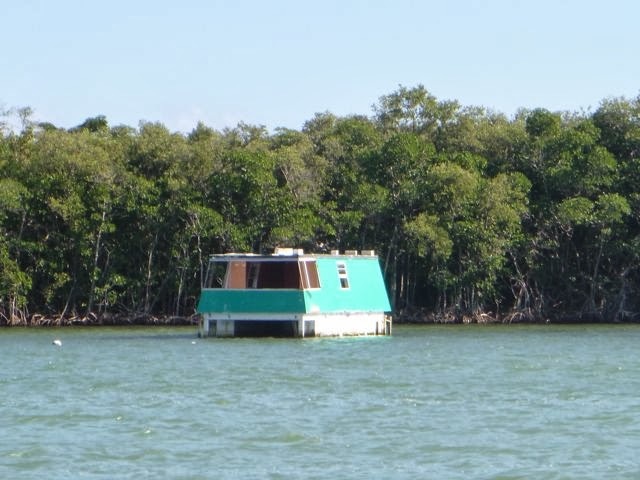 This now poor, hapless houseboat’s bottomed out, gone “all basement,” more in than out of the soft-bottomed, shallow intracoastal waterway. 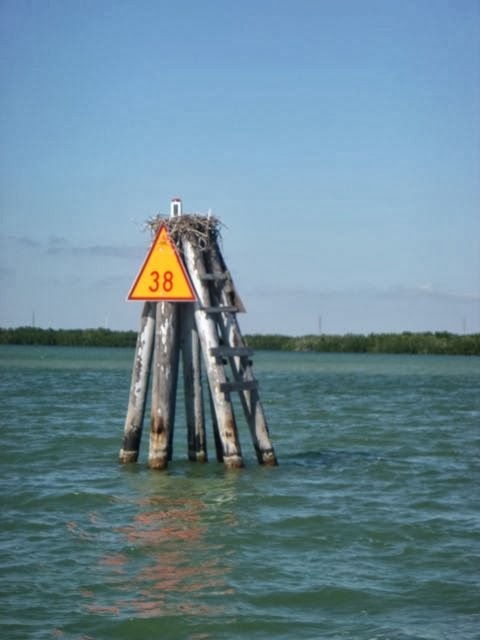 Further still down the ICW, just past Key Largo, we see a more familiar waterfront home -- an enormous osprey nest atop a channel marker. It’s occupied, and looking decidedly more homey. 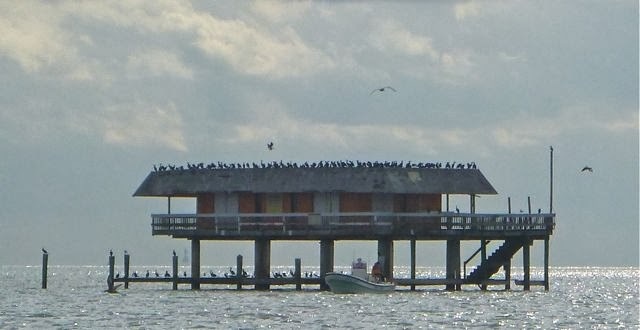 Of those waterfront domiciles, our feathered friend’s seems the most reliable. Us? No roots. We do not live the American Dream. Home is where the boat is, our waterfront view ever changing. Vagabonds, we own little, and believe our lives are far richer for it, as we regularly re-examine the ways of the world as we pass on by.